The title character in Mantel’s grimly lyrical latest novel (after Eight Months on Ghazzah Street, 1997, etc.) is in flight from a number of horrors. He arrives in London in 1782, having fled the famine and violence that is devastating his native Ireland. He is fleeing as well his despairing conviction that the past of the Irish people, represented by a vast reservoir of myths and historical narratives, is vanishing as those charged with remembering that glorious past die off. O’Brien, by the standards of his day a giant, has allowed himself to be convinced by a none-too-bright promoter that he can make a fortune by allowing himself to be exhibited in London (“like the sea and gallows. It refuses none”). Swiftly, he finds one more fury to flee, this time in the person of John Hunter, a premier anatomist who uses grave robbers to supply his seemingly insatiable need for corpses to dissect. Hunter, having heard of O’Brien, becomes obsessed with the idea of possessing the giant’s bones for his museum of anatomical oddities. Once again, Mantel (An Experiment in Love, 1996, etc.) 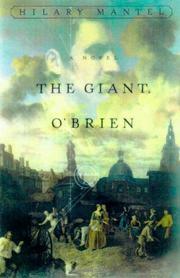 uses characters to probe at larger truths—here, O’Brien, who is a great taleteller, a repository of Ireland’s imaginative past, seems to represent a belief in the redemptive power of art and wonder, besieged by the 18th-century’s ferocious scientific rationalism: Hunter wants desperately to understand what life is, but can only pursue it by destroying it. O’Brien enjoys a floating fame, falls on hard times, and ends up in a squalid freak show. Sickening, he’s aware that his nemesis Hunter is feverishly attempting to buy the rights to his corpse from the show’s owner. Dying, he dreams of his life as it might have been, if he had been a poet. As it is, it seems certain that “stories could not. save him.” Distinguished by a deft use of voices (from O’Brien’s soaring lyricism and earthy humor to Hunter’s desiccated musings) and by a vivid portrait of the feculent underside of London: a fresh, moving meditation on the sources of wonder and the dangers of a depraved rationalism.